Composed by Franz Liszt (1811-1886). Arranged by Jamin Hoffman. Music for String Orchestra. Classical. Softcover. Published by Hal Leonard (HL.4490650). 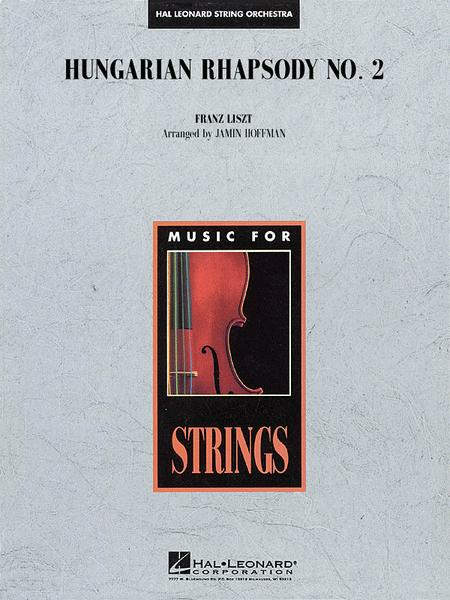 A particular favorite of Arthur Fiedler and the Boston Pops, the most famous of Liszt's nineteen Hungarian Rhapsodies is now available in this carefully crafted arrangement for string orchestra. A sure-fire crowd pleaser! Duration: 5:15.